Are looking to connect with more people in a meaningful way to grow a thriving business? I'll show you how to do all of this in 45 minutes. No drawn out painful training's, just you, me, and the real deal on how to use live video to build a thriving, connected community. 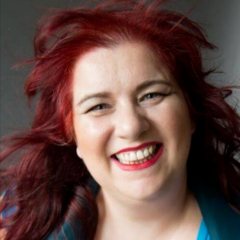 "I recently attended a masterclass on Facebook presented by Alice and I was delighted with the content. I know a lot about content (more than the usual expert) so I was astonished to find some gems that I didn't know."